To many, Tofino appears to be a destination for the young and restless: Camping, surfing, beach days and the rustic outdoors. Either that, or it’s for the old(er) and rich(er) with luxury resorts, spas and relaxing coastal retreats. Surprisingly though, there’s room in Tofino even for those families with children of any age. So, pack up the van and read on for tips on traveling to Tofino with children. Tofino is known for surfing, so signing kids up for a lesson is a great way to have them experience part of what makes the west coast lifestyle so unique. Plus, it will take up a few solid hours of the day and tucker them out. Beginners will use big foam boards and learn in the white wash, so you don’t have to worry about big waves. This family hotspot in Ucluelet is a must for those with curious kids. All the specimens are caught at the beginning of the season, and returned to their home waters at the end. Workshops and educational events are often held and they even have a touching pool for some hands-on fun and learning. It’s a perfect introduction to our west coast creatures so that you’ll know what to keep an eye out for when you go tide pooling yourself! Spending the day at the beach is a given – some of the most beautiful in Canada are found in Tofino. Besides your classic beach activities like building sandcastles, swimming and playing Frisbee, many of the beaches have great areas for tide pooling. Check out Chestermans or Mackenzie Beach for starters. Check out our Tide Pool blog post for more information on what you can find! Whale watching is a top activity in Tofino. Check out any number of the outfitters and see which suits your needs the best: Some have boats that are covered and comfortable; while others take pride in open zodiacs that give you a rush while you keep an eye out for these majestic ocean giants. If you happen to be visiting in March, try to attend some of the Pacific Rim Whale Festival, as many of the activities are geared specifically towards children. To learn more about whales, or booking a whale watching tour, visit our whale watching blog post, or Discover Vancouver Island’s whale watching page. Plenty of amazing hikes and trails surround Tofino, but two are very suitable for children. The Rainforest Walk is an easy 1km-or-so loop with interpretive signs and a well-kept boardwalk. In Ucluelet, the Wild Pacific Trail is iconic. Not only does the trail have some great interpretive signs and lookouts, but also, the Amphitrite Lighthouse is a neat feature for kids to see up close. The Big Beach section of the trail also has some interactive signs and fun facts for children, and you can hop on and off the different sections of the trail with ease. Check out our hiking page to find the top hikes in Tofino and Ucluelet! This visitor’s centre, located near the parking lot for Wickaninnish Beach, is a treasure trove of interactive education about the coast. From whale bones on display, to First Nations crafts and traditions, everything you would want to know about the area is exhibited in an intriguing and fun way. Even their front desk is a sight to see! The Raincoast Education Society is a great pit stop for kids. Visit their website to see if they have summer day camps or events going on while you’re in the area. 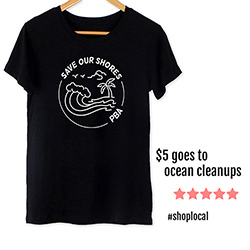 They’re dedicated to creating a sustainable future for the delicate ecosystem of the west coast, and they’re doing it through fun and interactive educational programs. It’s a great way to dive into the place you’re visiting, ditch the kids for a bit and have them return brimming with facts and fun from the day. Downtown Tofino, the Village Green is the perfect place to take a break and let the little one run free. There are plenty of features suitable for all ages to keep them busy while you lounge in the sun, indulge in a donut from Rhino Café and relax after a morning’s adventure. Also, the Saturday Market is held here, which is fun for everyone and gives you a taste of local life in Tofino. A kayaking tour is a great way to get kids out on the water to experience another west coast aspect. Tours go through are fairly sheltered areas that are easy to navigate. Most places welcome first-timers. Some may even have double boats, so you can stick your little one in the front and not have to worry about them getting tired of paddling. Check out our kayaking page for information and tips! Many of Tofino’s resorts are great choices. Spacious accommodation with all you need and then some. Plus, most of the resorts are beachfront, and feature great common areas to meet others and have a blast. Camping is a great way to get the ultimate west coast experience. It also helps you feel even more connected with the abundance of nature to be found in Tofino. There are numerous campgrounds around, but be warned that bookings should be made well in advance, especially for peak season. Check out our camping page. A vacation rental is your home away from home! You’ll have your own bedrooms, kitchen, and dining room… Everything you could want, but in an entirely new and wonderful location. It’s a great choice for bigger families looking to spend some quality time together. 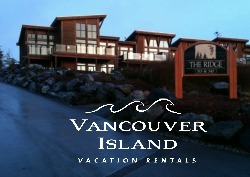 For a vacation rental, or more on accommodation, check out our accommodation page, or www.vancouverislandvr.com. Sobo’s kids’ menu features a number of eats for both the adventurous and picky eaters, all at a fair price. Plus they have take-away soups and even pizzas cooked in an outdoor wood-fire oven, not to mention their fun little play feature out front. This place is a top-notch restaurant with a great menu and kids menu, so both parties (parents and children) win. It was rated Canada’s Best New Restaurant by EnRoute to boot. Many of Tofino’s accommodation will have onsite restaurants that may surprise you with their quality of food. Of course, considering they’re used to seeing plenty of families come by during their stay, the kids menus will be just as good as the adult ones. Less dinner, more dessert! Chocolate Tofino is located in the Surf Junction near both the iconic Tacofino and Wildside Grill. Basically, you can kill two birds with one stone – dinner and dessert. Take home some beautifully crafted chocolates, and sample in-house made gelato while you’re at it. Then maybe send the kids out for a surf lesson before the sugar rush kicks in. The road to Tofino is long and winding with many dips and hills. If your child is prone to carsickness, packing along gravol or any other type of anti-nauseate is a good call. Maybe even have them take one just before you head out of Port Alberni. The weather along the coast can be chillier than the interior. Be sure to pack lots of warm layers and of course, rain gear. An extra towel wouldn’t hurt either, as your kid will likely find heaven in the form of digging in the sand and playing in the waves. Many of the accommodation in Tofino offers baby sitting services, which means even the parents can have a night off to indulge in the other side of Tofino – a top romantic destination. For more summer activities, check out our Summertime in Tofino blog post.